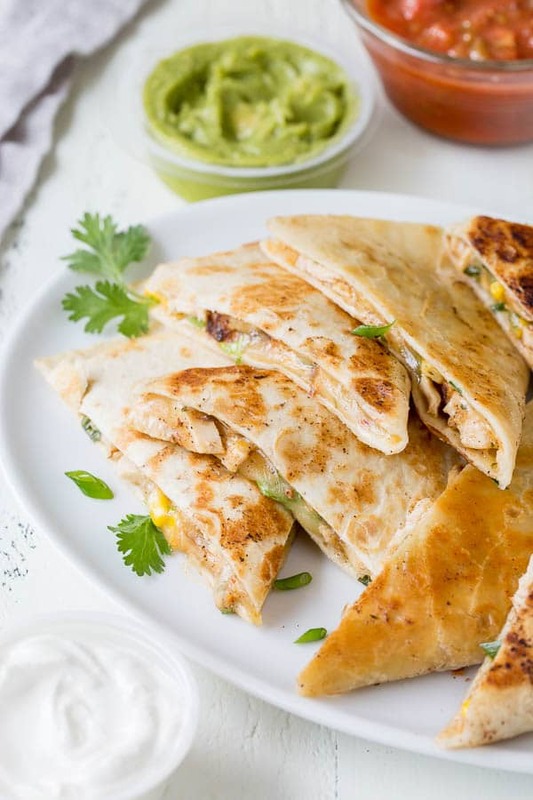 This 30-minute cheesy chicken quesadillas recipe is super quick and easy weeknight dinner made delicious! 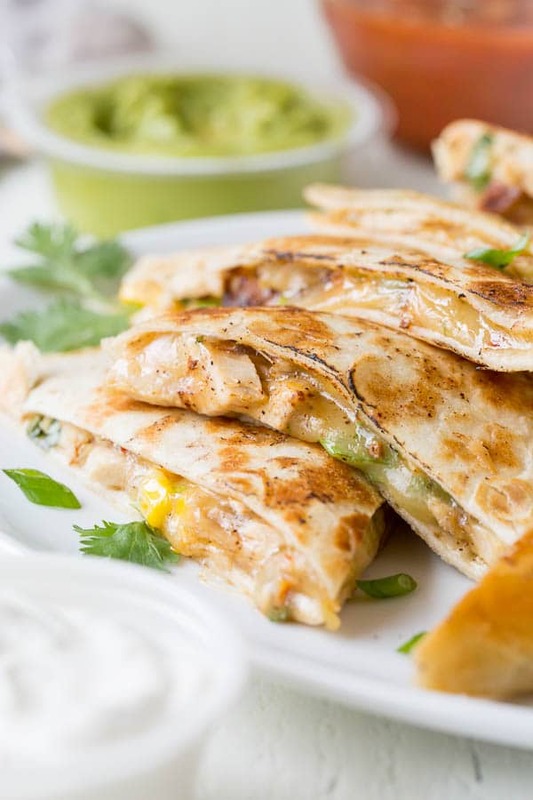 You’re going to LOVE these incredibly easy and quick chicken quesadillas! And I know it’ll become one of your go-to weeknight meals in no time. The best part is you can change it up every week, so you don’t get bored. I like to use Monterey Jack in my quesadillas. But I recently discovered even better option. 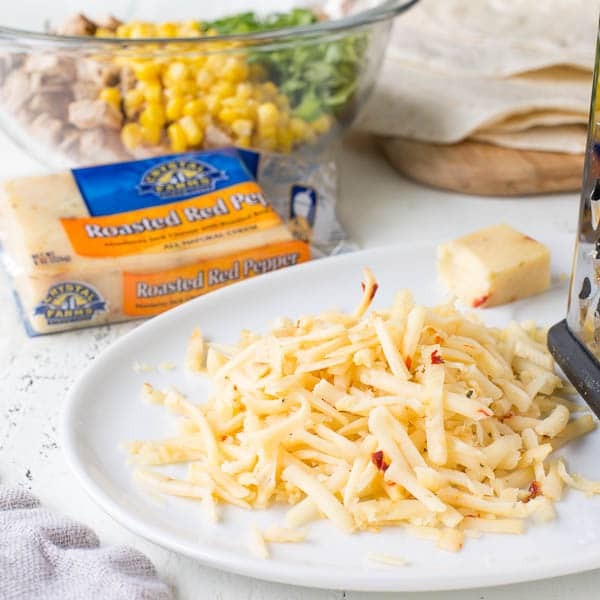 Crystal Farms® Roasted Red Pepper Cheese. It’s Monterey Jack, but better! And lastly, cooking the tortillas in butter on stovetop yields the most fabulous texture, light and crisp. While cooking, firmly press on top with a spatula. I’m so excited for you to add this quick and easy chicken quesadillas to your weekly menu. And thanks for reading! In a skillet, heat oil over medium high heat. 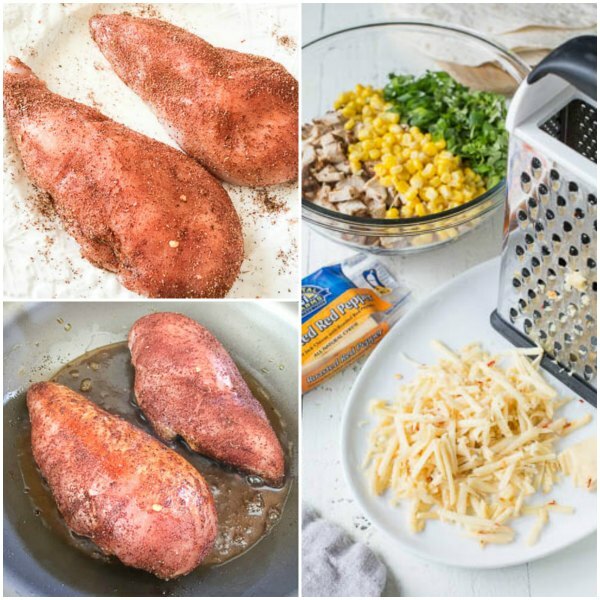 Cook the chicken on both sides until cooked through, 4-5 minutes per side. Transfer the chicken onto a cutting board. Let cool and then cut into small bite-sie pieces. In a medium bowl, combine chicken, cheese, corn, scallions and cilantro. Melt 2 tablespoons of butter in 12-inch non-stick skillet over medium heat. 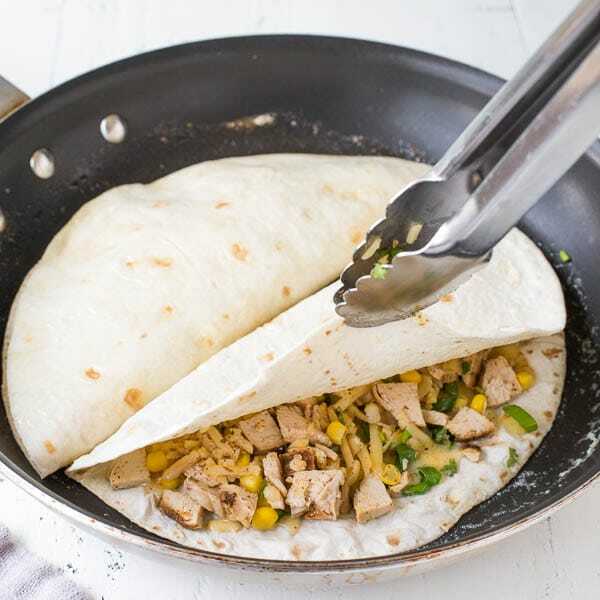 Place 2 quesadillas in the skillet, and cook, firmly pressing with a flat spatula, until tortillas are golden brown and cheese is melted, about 2 minutes per side.